Preparing to bring a new feathered friend home can be an extremely exciting time for your family. In order to make sure that your new bird is a happy addition to your household, it's important to follow this checklist of preparations that should be made prior to the arrival of your feathered bundle of joy. 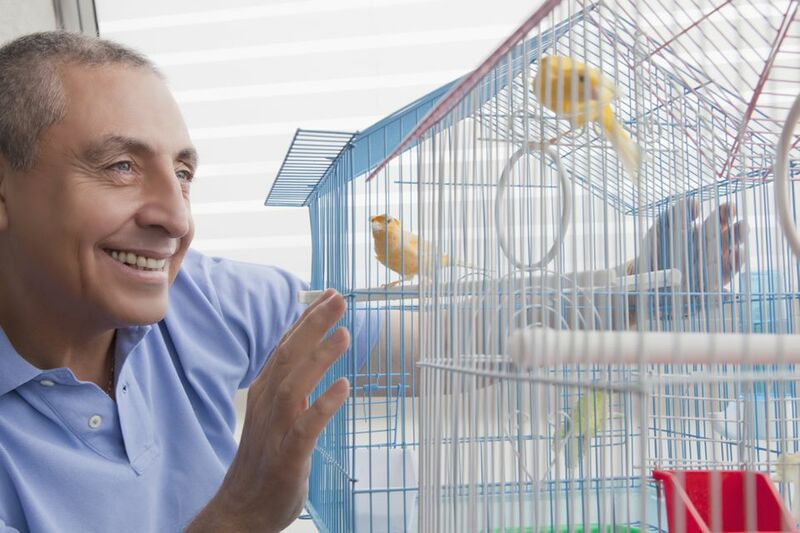 Making sure that your bird's new cage is ready for him is important to ensure your pet's smooth transition into your household. A few days before your bird's arrival, assemble the birdcage and choose a suitable location for it. This will not only ensure that your pet's cage is ready for him when he arrives, but will give family members and other pets some time to adjust to the location of the bird's enclosure. In order to make sure that your new bird can move right into his cage, it's important to have it set up and ready to go on the day of your bird's arrival. Choose several perches of appropriate length and diameter to arrange inside the cage. Select a few bird safe toys to decorate your pet's home with. Secure your bird's food and water dishes to an appropriate section of the cage, and place a liner in the bottom cage tray. Your new pet will likely spend his first few days with your family inside of his cage, so it's important to make sure that everything he needs is immediately available to him. The first few days that your bird spends with you can often be a time of trial and error as far as feeding goes. Before you bring your bird home, ask his breeder about the type of diet that has been fed to the flock. Some birds can be picky eaters, so it's a good idea to secure a supply of that same type of diet to feed your bird for the first week or so. The breeder or your avian vet may also recommend special treats, vitamins or dietary supplements for your bird. If this happens, make sure to have a healthy supply on hand before your bird comes home. While it's unlikely that a reputable breeder would send you home with a sick bird, it's always a good idea to schedule a wellness exam with an avian vet. This will not only alert you to any health problems with your bird but will allow you the chance to ask the vet any questions you may have about caring for your pet properly. Building a good relationship with your bird's vet is a key characteristic of responsible ownership, and the first step in making sure that your pet will enjoy a long and happy life as a member of your family. Accidents can and do happen, even on your bird's first day at home. To make sure that you are prepared in the case of an emergency, assemble or purchase a bird first aid kit prior to your pet's arrival. Countless pet birds have had their lives saved by owners with the foresight to prepare for emergencies. By preparing properly for the day that your bird comes home, you will certainly help make the transition easier for both your family and your new pet. The first few days that your bird spends with your family will be important to shaping the way that he views you as new members of his "flock". Be sure that you make the best possible first impression by seeing to it that everything you need to take care of your pet is in order.